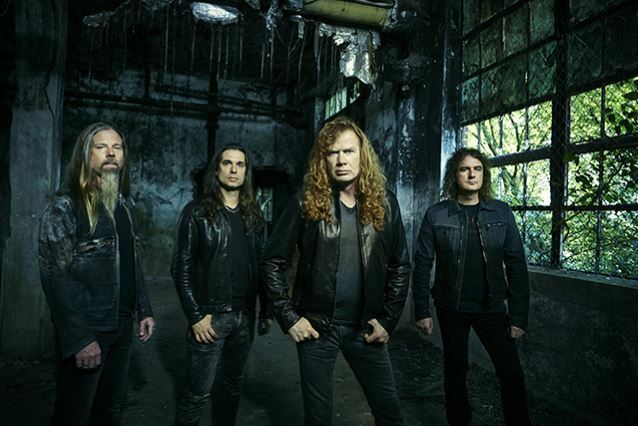 MetalRockNews: Megadeth's Dave Mustaine: "David Ellefson is not my right-hand guy"
Megadeth's Dave Mustaine: "David Ellefson is not my right-hand guy"
Megadeth's Dave Mustaine was recently interviewed by Eddie Trunk, you can read some excerpts below. 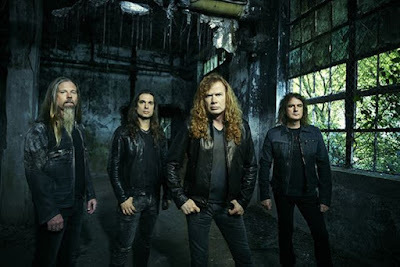 About how important it was for him to have bassist David Ellefson as his "right-hand guy" while the band was being revamped once again following the departures of drummer Shawn Drover and guitarist Chris Broderick. He said: "Well, let's not… Dave's not my right-hand guy, first off. He's my bass player, he's my friend. We've been friends for thirty years, but he's not my right-hand guy. I think that was obvious when we parted ways; you know, he went and did his thing, I did my thing, Megadeth kept going. I'm glad to have him back. I think that he's a remarkable person. He's got a great personality. He's very lovable. And I think that the fans know that they can count on him to be consistent. Dave's always been like the ambassador for Megadeth." He continued: "I would say, right now, if you were gonna talk about who's a right-hand guy and who's not a right-hand guy, I would say that, as far as the musical stuff is concerned, that Kiko Loureiro has taken that position, because the conversations we've had have been really in-depth and he's really stepped up to the plate, with talking about different stuff, like what should be parked over at Vevo or YouTube or Facebook and stuff like that. And stuff where I'm scratching my head and I'm thinking, 'How do you have time to figure all this stuff out?' 'Cause not only does he do everything that we ask of him as a player, but he's constantly coming with new ideas and stuff, how to build the brand and to protect the fan base and stuff like that, which is a great feeling."